Chesterfield, St. Charles & St. Louis area realtors are with the #1 real estate office in St. Louis, eXp Realty Chesterfield. They have been helping real estate buyers and sellers for approximately 20 years. Whether you are buying a home or selling a home in the St. Louis area, The Rick and Tracy Ellis Team has the real estate experience, contacts and knowledge to help make buying or selling a home in the St. Louis metro area easier. The Ellis’ area of real estate expertise includes St. Louis County, St. Charles County and various communities around the St. Louis metro area including, Chesterfield, St. Charles, O’Fallon, Town and Country, Ellisville, Ballwin, Clayton, Frontenac, Creve Coeur, Maryland Heights, Ladue, Wildwood, St. Albans, Kirkwood to name a few. Why use The Rick and Tracy Ellis Team of realtors as your real estate agents? The Rick and Tracy Ellis Team can help you find homes for sale in St. Louis, St. Louis County, St. Charles County consisting of single family homes, condos, Villas, commercial real estate, open houses and information about the St. Louis, MO real estate market. 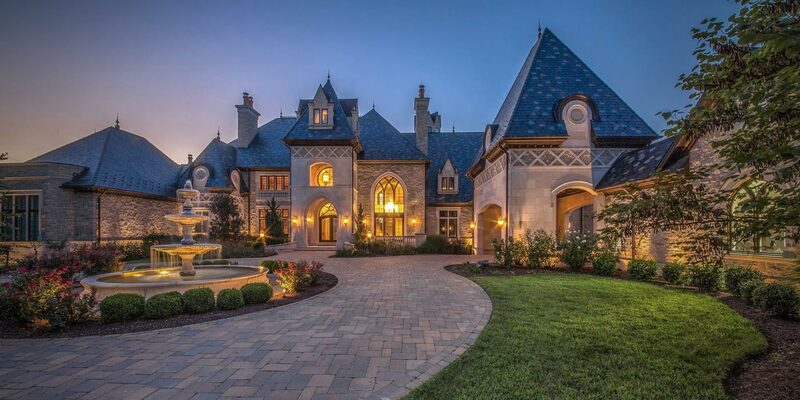 The Rick and Tracy Ellis Team specialize in buying and selling luxury real estate. On our website you can search all MLS listings in the St. Louis metro area including single family homes, townhouses and other type of properties. “It doesn’t matter to the Ellis Team whether it is a lower price home or a multi-million dollar mansion, it’s all real estate” says Rick Ellis. Known as the radio hosts of "The Rick & Tracy Ellis Show" on 97.1 FM, 590 The Fan, and KRMS, Rick & Tracy Ellis have become experts with buying and selling real estate and the art of negotiation. We would love to hear from you. Whether you have a real estate question, would like to discuss listing your home, or simply want to stop by and say hello, please submit your question and we would love the opportunity to help. Chesterfield, Wildwood, St. Charles & St. Louis area realtors are with the #1 real estate office in St. Louis, eXp Realty Chesterfield. They have been helping real estate buyers and sellers for approximately 20 years. The Ellis’ area of real estate expertise includes St. Louis County, St. Charles County and various communities around the St. Louis metro area including, Chesterfield, St. Charles, O'Fallon, Town and Country, Ellisville, Ballwin, Clayton, Frontenac, Creve Coeur, Maryland Heights, Ladue, Wildwood, St. Albans, Kirkwood to name a few. “We’re committed to never losing sight of our Customer Service”. To assist the Ellis’ in helping clients with buying and selling homes in St. Charles, St. Louis & surrounding areas, The Ellis' also host 5 weekly radio shows. Two Shows on the #1 FM TALK station in St. Louis, FM NEWS TALK 97.1 (Podcast - https://971talk.radio.com/shows/rick-tracy-ellis-show) and Two Shows on the highly listened to 590 The FAN (Podcast - https://590thefan.com/radio-shows/the-rick-tracy-ellis-show/). You can tune in to the “The Rick and Tracy Ellis Shows” on both stations every Saturday at 9 a.m. and Sunday at 10 a.m.. When at the Lake of the Ozarks, you can tune into their Lake Show on KRMS Saturdays at 11 a.m. As local real estate experts, The Ellis’ have also created and published their own real estate magazine, Tracy Ellis Real Estate Magazine. The Ellis' advertise ALL of their listings for The Rick and Tracy Ellis Team in their publication. You can find Tracy Ellis, "Real Estate Magazine” in over 150 businesses throughout St. Louis and St. Charles Counties or online at tracyellis.media. The Ellis’ primary focus is Real Estate, but they also realize the importance of small businesses within the community. It was important to Rick & Tracy that great, local, small businesses also had attention brought to them. Rick & Tracy felt Sandy Miller of FOX 2 NEWS and Meghan King Edmonds of Real Housewives of Orange County would be perfect for spotlighting local businesses since they are both “Hometown Business Women”. On Saturdays, Sandy can be found on The Rick & Tracy Ellis Show and on Sundays, Meghan can be found on the on The Rick & Tracy Ellis Show. Each week, Sandy and Meghan will spotlight a local business that they have used and researched themselves. Some things are worth bragging about. The Ellis' are committed to offering all of their clients maximum exposure of their properties, excellent photography, and dedicated customer service. 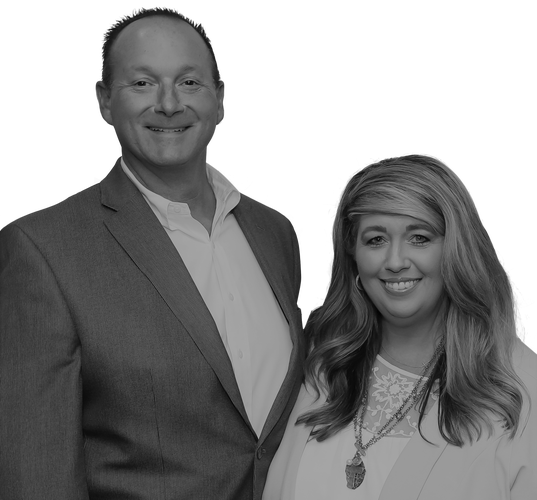 When you work with Rick & Tracy Ellis when buying or selling real estate, you'll deal directly with them. You won't be handed off to someone else, it's important to The Ellis' to be personally involved every step of the way. Real Estate is the largest investment most people will make in their life, so it’s important to have someone you trust to represent your best interest. Contact Rick and Tracy Ellis and eXperience how their marketing, knowledge and excellent customer service will move you! The Rick and Tracy Ellis Team. To Learn more about the Rick and Tracy Ellis Team Marketing Approach to get your property SOLD! Listed and Sold in Amazingly Fast Time. Tracey told us to be prepared for a Fast Sale and BAM, the Contract was ready to be signed and at the price we wanted. Professional, concise and direct to the point is what we wanted and that is what you can expect from Tracey. I would highly reccomend Tracey Ellis as a Realtor that you should use. We saw that Tracy had sold a house on the corner of a very busy street very fast and at a good price. So we called her to give us an estimate on what our home was worth on the market, she told us we of course, wanted to list it higher and it sold for the exact amount Tracy told us it was worth....she directed us to make some minor interior furnishing changes.....she then sold the house in 72 hours. Tracy helped us purchase our dream home! Our family was growing and we needed more space. She found the perfect two story home with all of the features we had hoped for. She negotiated with the builder and we were able to get more for our money. Plus, she sold our first home in under 60 days! The entire process was smooth and she kept us informed every step of the way. Tracy truly cares about taking care of her clients and helping them purchase a home; not just a house. This was the easiest home purchase I have had to make. Tracy was able to find what I wanted and made the deal happen. She also has the contacts that I needed to make my new home perfect. Without Tracy's knowledge, guidance, confidence and ability to calm my anxious husband we would have never moved! Her ability to get things done made the process of buying & selling our house a smooth one, with no surprises. She provided great resources to us for everything from a painter to a plumber and because of her excellent, quality resources, we were able to have our house ready to sell without sinking a ton of money into our home! Tracy is truly a professional in every facet of her profession. She is readily accessible, extremely responsive and excellent at her job. I have had the pleasure of dealing with Tracy on three real estate transactions and would recommend her to anybody in need of a true real estate professional. Tracy had approached me just a couple months ago while I had my personal residence "for sale by owner". The property was a historic property which had been completely renovated and I felt like there was a considerable amount of value in it. I'd had several agents contact me and tell me that I was priced too high. They were confident that if I went with them they could price it much more competitively and move the property within a few months.